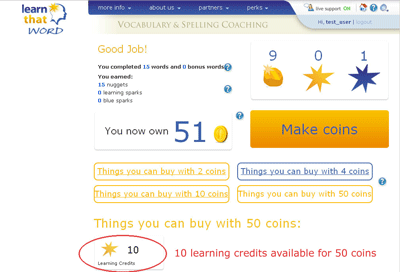 This little tutorial introduces you to the different quiz features of LearnThatWord, so you can make effective use of them. 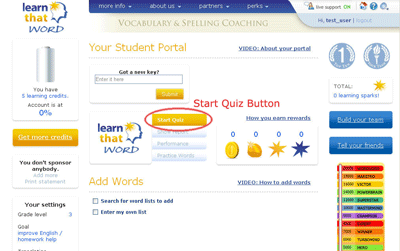 Once you log in, you are taken to your portal, and the start quiz button is right in the middle. Here! 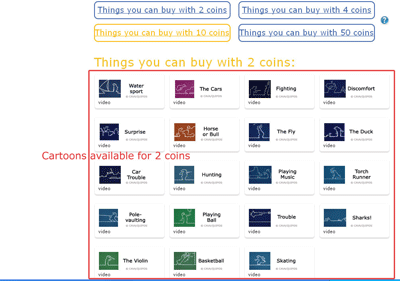 You can choose from two quiz versions, with more under development. You hear a word and spell it. 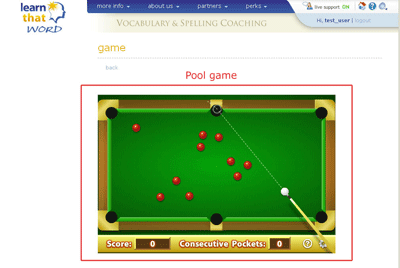 This is the preferred mode for the students competing for the National Spelling Bee, for example. Vocabulary Tutor is more challenging, so we will use this setting to introduce the quiz features. 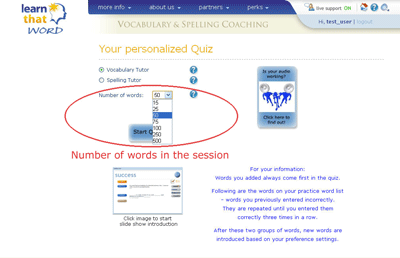 I set the number of words for the session in this drop-down. It doesn’t matter if a quiz isn’t finished, because your learning profile is always updated, even during the quiz session. It shows positively in your performance report, however, if you do finish. 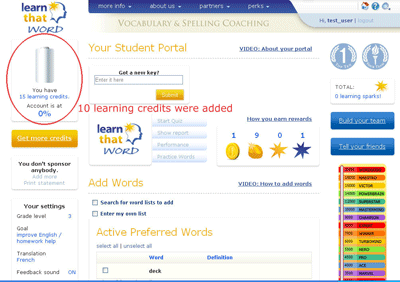 First, we show you the words that you or your teacher added to your account. 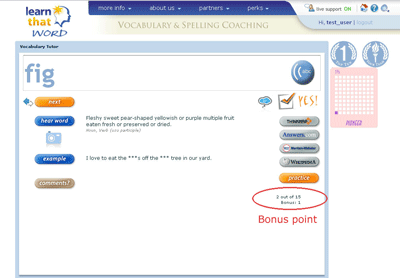 We also call these “preferred words”: they’re words that are currently of high priority to you, so we show them at the beginning of the quiz. 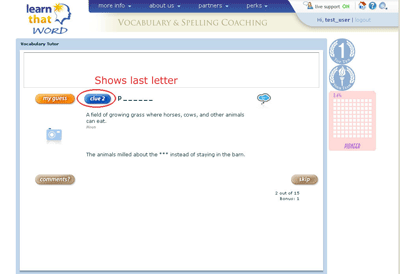 After these have been quizzed, we review your practice words with you. 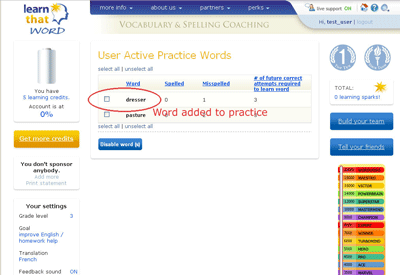 If a word was entered incorrectly at the first attempt, it is added to your personal practice word list. 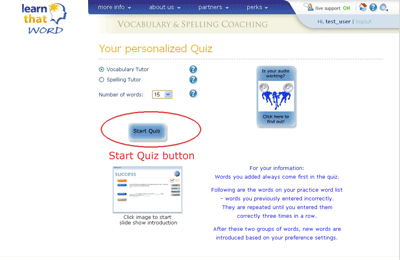 It is then repeated quiz after quiz until you entered it correctly over three quizzes in a row. If a word was added by mistake, for example a typo, it can be removed at the end of the session in which it was added. 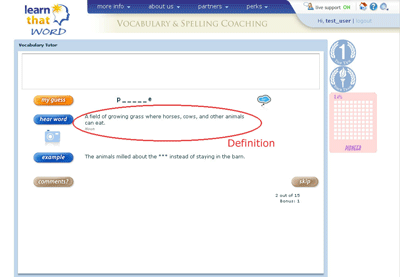 If you, for example, enter a word right over two subsequent quizzes, and then make a mistake again, the cycle is reset. 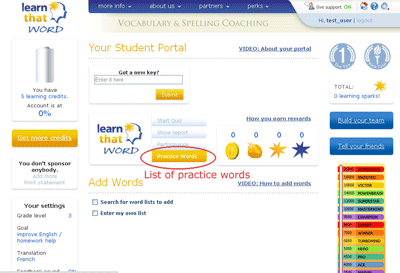 So, you will again have to show three correct entries to have the word removed from your practice list and to get your learning spark awarded. It is not uncommon with hard words to have many more than three repetitions, but you will also notice that your brain will soon build word automaticity faster and with less effort. Your brain will learn to learn this type of information, so to speak. 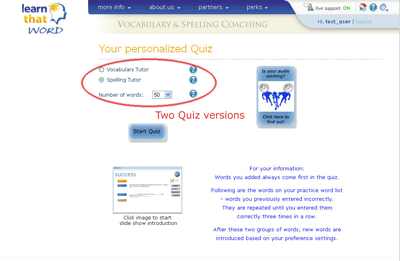 After your personal practice words, the quiz will introduce new words, based on your preference settings. 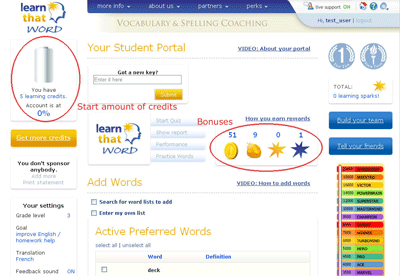 If your preference is set to “focus on words I request”, the quiz will stop after your practice words have been reviewed. Some people feel anxious when being tested. It makes them feel like they need to get everything right. 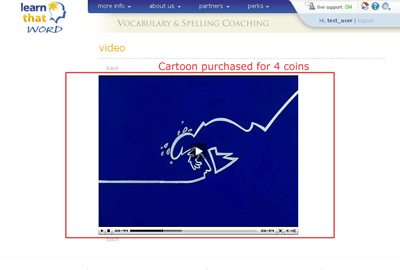 With LearnThatWord, there are no negative consequences attached to making a mistake. Errors simply tell the program that the word needs more review, to establish automaticity, and help you get it right, always. We purposefully avoid introducing the word before your first exposure in the quiz. 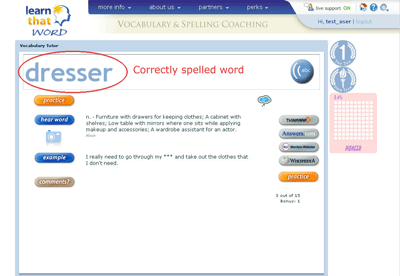 Otherwise, it would be hard to tell if the word is really known or just in short term memory from that introduction. By first testing which words are known and removing those, you focus all your time on working on words that actually NEED practice. In the Vocabulary quiz, the audio buttons for word and sample are hidden in the beginning. Instead, you see the number of letters of the words and can request first and last letter by pressing the blue “clue” button. After requesting these clues, the audio buttons become available. 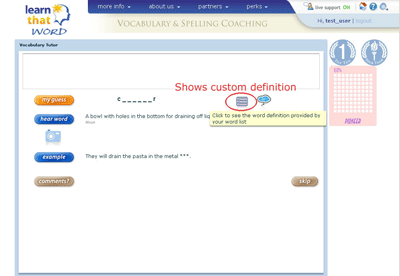 This icon up here appears only if a word was ADDED and if the word list included a custom definition. 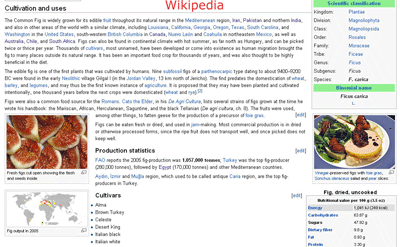 THIS content is provided by the user who created the word list. 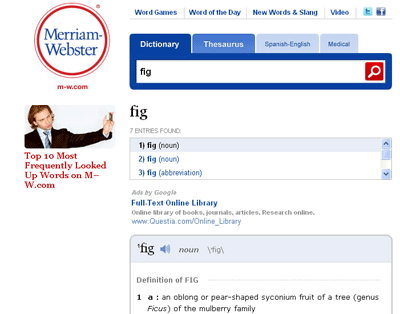 We provide a lot of information for you to quickly learn the word. and lots of additional information for the word. and you get a second chance. and will be repeated until you have entered it correctly three times in a row over subsequent quizzes. 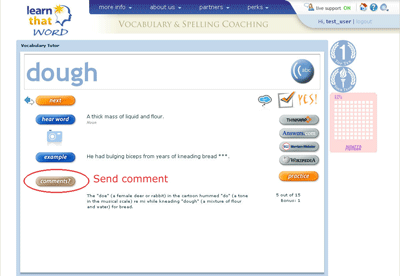 See how we are showing you the letters you got right, but remove those that you had problems with? Cognitive neuroscience has found that the brain creates mental orthographic images of every word presented, right OR wrong. 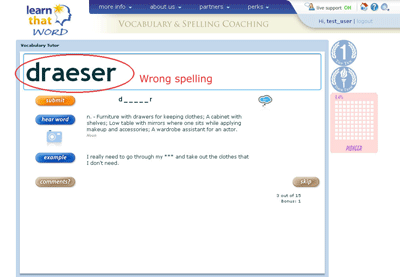 Showing misspellings is a sure-fire way to confuse the brain and makes it harder to gain confidence and automaticity. 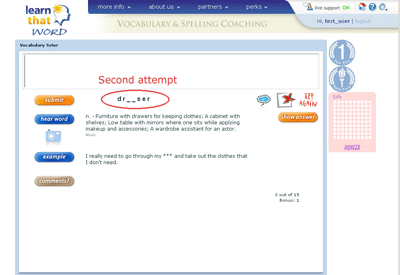 After the second incorrect attempt, we show you the answer. There is just not enough value in guessing! 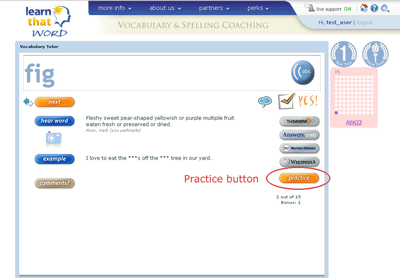 The same practice cycle can be triggered voluntarily by clicking on the orange “practice’ button at the bottom right of this answer screen. 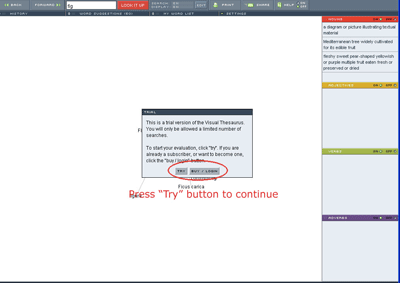 After you click the practice button, you are shown the word in different colors, letter by letter, and after one last impression, you are challenged to enter it yourself. This practice cycle repeats if you get the word wrong again. If you get it right, we move on to the next word. Research in our focus groups has shown that this practice step just about cuts the number of repetitions needed to learn challenging words in half! The abc button on the answer screen speaks the word back to you, letter by letter. Oh, I was guessing this word… but I was lucky! 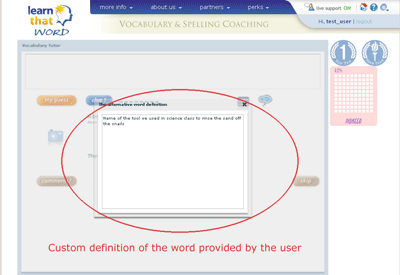 Normally, the program will assume that you know this word, because you entered it correctly at first attempt. Since I like to feel really secure about the words I use, I will put this word on the practice list by myself, just to make sure that I won’t have to hesitate next time I want to write it. I do this by clicking on these “two-way” arrows to the left of the “next” button. This will add the word to the practice list, so just like a word I got wrong, this word will be reviewed until I get it right over three subsequent quizzes. Since I entered this word correctly before clicking the hear word or example audio button, I was given a bonus point, as documented down here. I will use this last word to show you the buttons on the right side of the answer screen. Here is the practice button I mentioned. It will trigger the practice cycle for this word… the one that shows you the word and then asks you to enter it one more time. 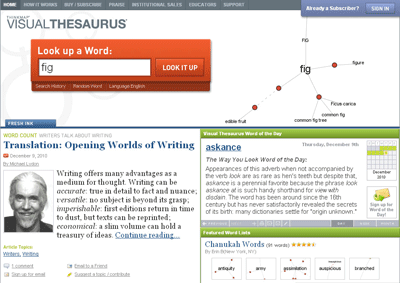 Above are links to 4 online resources, directly linked to the word you just studied. 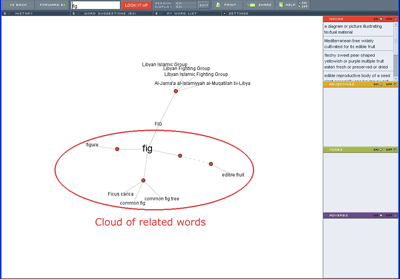 Thinkmap is an interesting online thesaurus that displays the relationship between words visually. You’ll need to click these two buttons, unless you already purchased this program, which is offered by a third party website. Look isn’t this fun? It’s like moving through a cloud of words! Second button links to Answers.com, a long-term partner of our nonprofit. 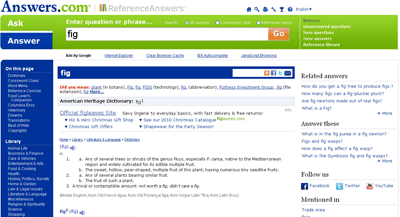 Answers lists information from a large range of resources on one page, so you can see what all kinds of different sources have to say about figs, for example. 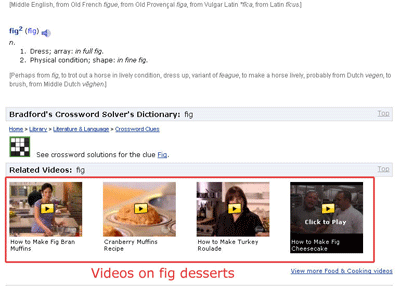 Here for example are videos on how to prepare desserts with figs. 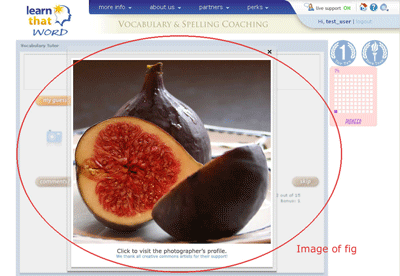 If you have feedback, let’s say you have an image for a word, or a good context sample or tutoring comment… noticed a typo, or would like to suggest re-recording a word, please click the comment button and send us a message. We’re committed to constantly upgrade and expand this offering. 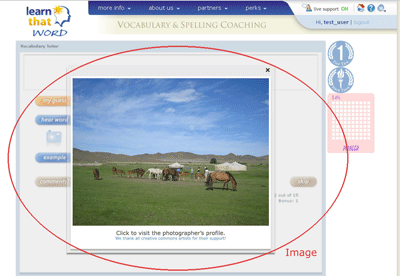 Your feedback will be processed by our editors and helps us improve this resource. 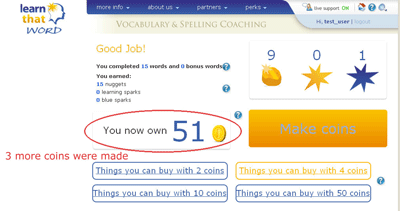 Once you’re done with your quiz, you reach your reward page. Congratulations! 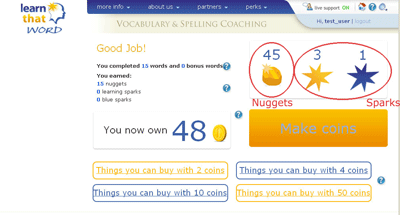 You are given a nugget for each word you studied, and an extra one for each bonus word. 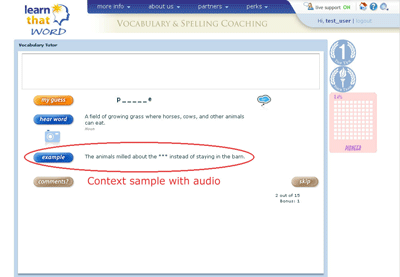 A bonus word is one that you entered correctly without listening to the audio, simply by processing the information given. 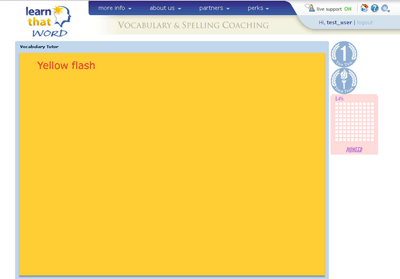 Yellow sparks are given for words learned after going through the practice cycle. Blue sparks reward attention. 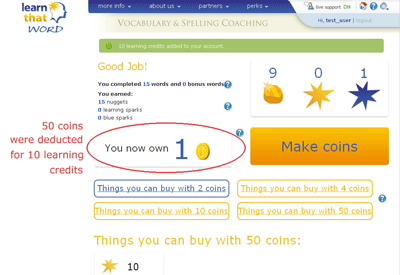 You get one for getting 10 words right in a row, or for learning a practice word in the minimum three quizzes. 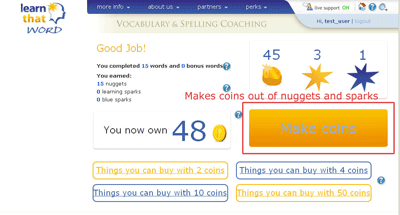 12 nuggets and 1 spark form a coin, so in this example, once I click “make coins” 36 nuggets and 3 sparks will be used to make 3 coins… like this! 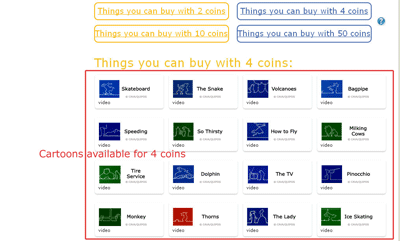 Once you make a selection, the coins required are deducted from your deposit. Videos and games are limited to 10 minutes, and you’re then redirected to the portal.